I've been reading up on dressing for cold weather in preparation for next winter's trip to Switzerland. I'm a warm weather gal, and have never really been in freezing temperatures for longer than an afternoon of skiing. "Layers" seems to be everyone's answer to dressing for the cold. Okay. But how many layers? Doesn't all that bunched up fabric eventually cause difficulty bending at the elbows and the knees? I don't want to amble through Zurich like the Stay Puft Marshmallow Man. When I typed "How to dress in layers for cold weather" into Google, I got a very helpful link to REI with some useful information. REI recommends a base layer, a fleece layer, and then a warm waterproof jacket or shell. The most important layer, I've learned, is apparently the base layer next to your skin. According to REI and several other outdoorsy websites, the base layer should be crafted from a moisture-wicking fabric, i.e. some kind of polyester blend, and definitely not from cotton because cotton absorbs moisture. So here's my question: why are all my old thermal underwear sets (yeah, okay, they're from the '90s) 100% cotton? 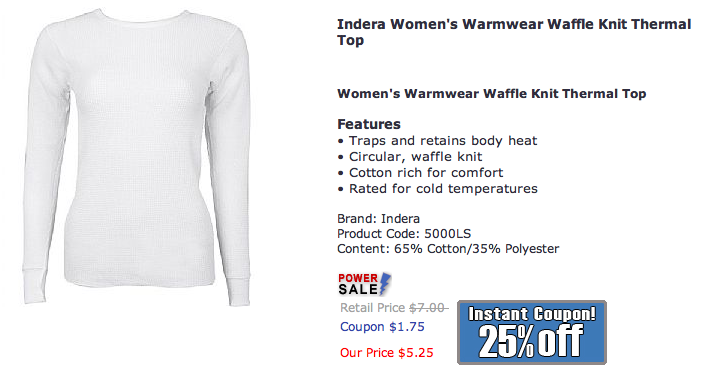 And when I search on-line for warmwear I find lots of waffle knit thermals made from cotton. Are these for people (like me) who might not be aware of the dangers and discomfort of traipsing out into freezing temperatures without the modern protection of moisture-wicking? Or are they for people (like me) who flinch at the price of hi-tech synthetic apparel they will probably only wear once or twice? And I don't even want to discuss the lower half of my body. I can barely button my jeans as it is, not to mention attempting it with "layers" on underneath. Should I buy a couple pairs of jeans two sizes too big? For heaven's sake, what's that going to look like? I can tell you right now you won't see any photographs of me from the waist down next year in Switzerland. Getting ready for outdoors activities is all about layers that you can add or take off whether you start to melt or freeze. For outdoors activities, never, ever wear cotton. By activities I mean something where you can get sweaty. Cotton (base)layers stay wet if they get wet, and in the worst case lead to hypothermia. As a mountain rescuer, I usually see people getting into trouble when they go hiking wearing jeans and/or cotton base layers. So jeans and other cotton stuff are great for city strolling but if you are going to explore some mountains, ski, hike and whatnot, I'd recommend investing in quality base layer such as Smartwool, Patagonia, and probably REI's own brand is good too - as well as more wallet friendly. You also may want to have insulating and water/windproof layers. For outdoors activities, get outdoors pants, something else than jeans. Wow! Look at the previous comment - advice from a real pro! I so appreciate that! And there's my final answer: NO cotton! I also got a personal reply via Facebook from REI: "The downside of cotton is that when it gets wet it looses all of its thermal properties, unlike fabrics like wool or synthetics. Old-school cotton thermals are still dandy for wearing around town, but we would recommend picking up some new base layers for getting outside." Good decision! :-) I actually teach outdoors/wilderness survival classes too, and a few times have done a demonstration of the moisture-wicking vs cotton base layers. If you soak them both in water, the moisture-wicking base layer dries rather quickly while the cotton is ugly, cold forever. You will be so much happier in outdoors activities when wearing non-cotton base layers. One the layering issue with pants, usually your legs can take a bit more cold than other areas. If you're jeans are tight now, you'll want a size larger for the long-johns. A bit of air between the layers helps keep you warmer. Same deal with feet and hands (I do smaller gloves inside of big mittens). Anything tighter is going to lessen the effectiveness of the layers. Also, a scarf/neckwarmer is awesome at keeping you warm. Definitely bring one! My husband and I went skiing in the Jungfrau Mountains for our honeymoon. We went in February and I was worried about the weather myself. I would recommend 1 or 2 really good pair of ski pants (which we would even wear out to dinner) and a couple ski shirts. I overlayered the first day (thinking I would be freezing) and I ended up sweating the entire day and kept taking off layer after layer. I would pack minimally and figure you will be wearing your ski stuff 24/7. We tended to get hot a lot more often than get cold because we were always active walking and skiing. Also, I would make sure everyone wears good waterproof hiking boots for everyday use. And a few pairs of waterproof socks. You can leave the tennis shoes and dress shoes behind! Sounds like a great trip and you are a brave woman! I wouldn't take too much time in Zurich-you'll want to spend as much time in the Alps as possible. It's a slice of heaven on earth.